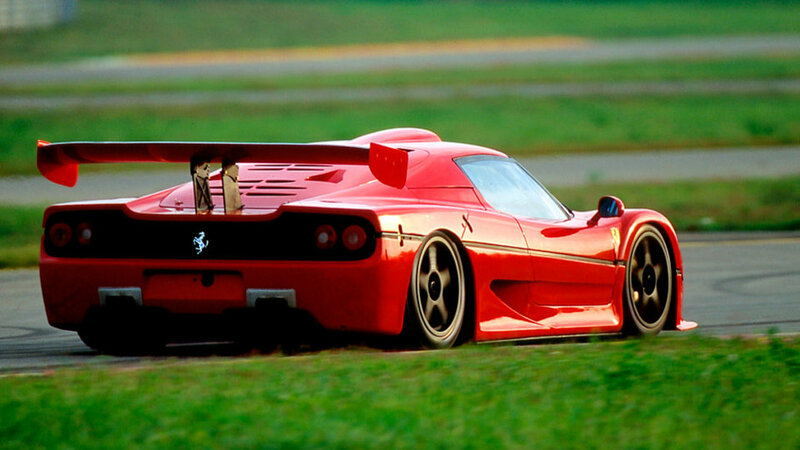 The F50 was used as the platform for the F50 GT which was designed for the international GT competition class. 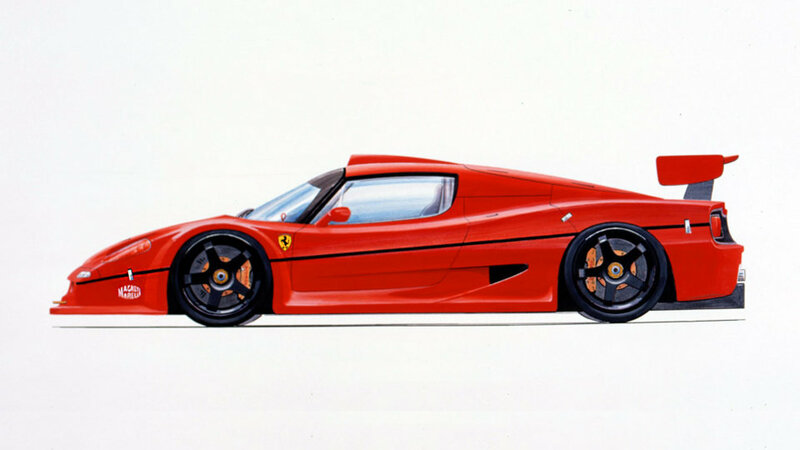 Three were built with the assistance of Dallara and ATR but the car was developed entirely in-house by Ferrari. Aesthetically, the most notable changes with respect to the road car were an air intake on the roof, a different rear wing with central strut and a rear diffuser. 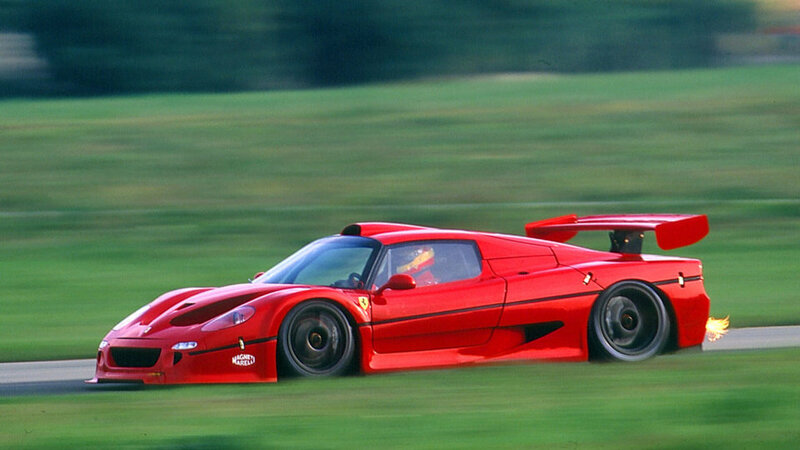 It had the same size engine as the F50, a clutch with carbon-fibre disks and a sequential gearbox. 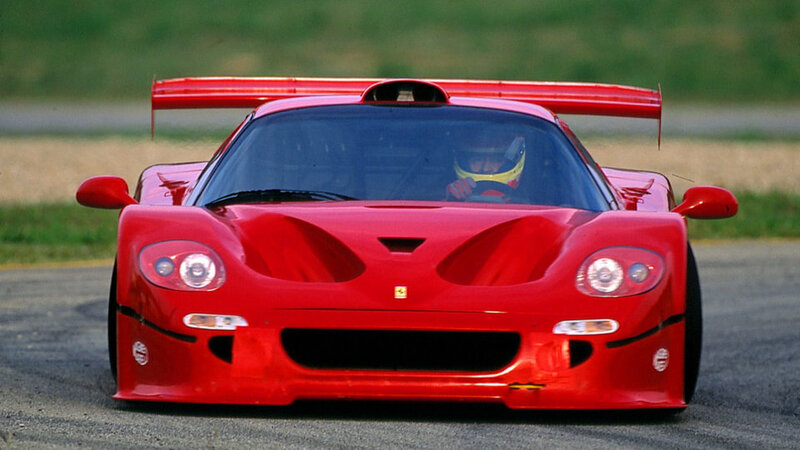 The F50 GT clocked some very impressive speeds at Fiorano but the project was never followed up by Ferrari as it was concentrating most of its energies at the time on its Formula 1 comeback. Accurate selection of the best shots of the F50 GT in high definition. 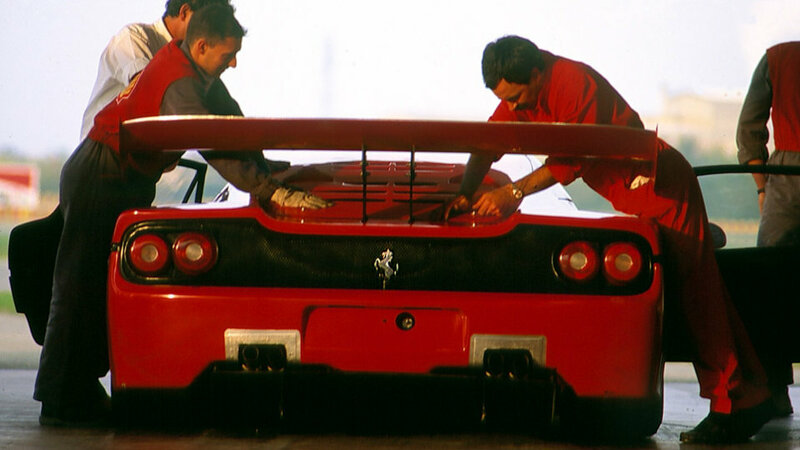 The photo gallery shows the distinctive features of this model Ferrari in 1996, focusing on the details and the most important parts.